For two beautiful summer days in late July, I traveled around Chippewa National Forest in Cass Lake, Minnesota, to search for the perfect U.S. Capitol Christmas Tree. It is my job, as Superintendent of the Capitol Grounds, to evaluate and select the Capitol Christmas Tree from a different national forest each year. 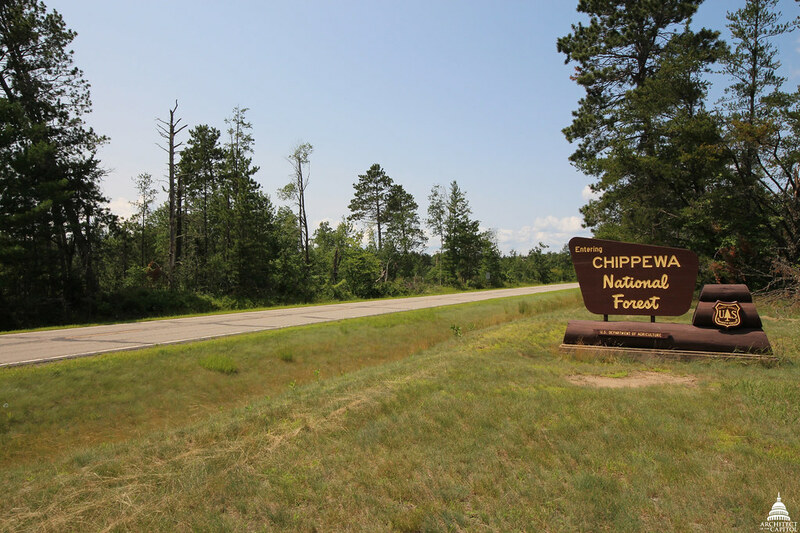 In the December of 2013, the Chippewa National Forest (CNF) announced they had been selected to provide the 2014 Capitol Christmas Tree. They previously provided the Capitol Christmas Tree in 1992. The CNF employees then spent the winter and spring searching for the tree candidates they would show me during my trip in July. My first day in Minnesota began at the CNF Supervisor's Office. I met with a team of Forest Service employees, who presented 20 potential Capitol Christmas Tree candidates by listing each tree’s species, location and approximate height, along with a photo. Primarily, the trees I was considering from north-central Minnesota were balsam fir or white spruce species, which both make excellent Christmas trees. The next two days were spent driving around Chippewa National Forest, inspecting each candidate and assessing its worthiness as the 2014 Capitol Christmas Tree. All of the trees had some worthy qualities, but I need to ensure the tree selected met all of my criteria. Using my own unique selection process, I whittled down the 20 tree candidates to only one perfect tree. 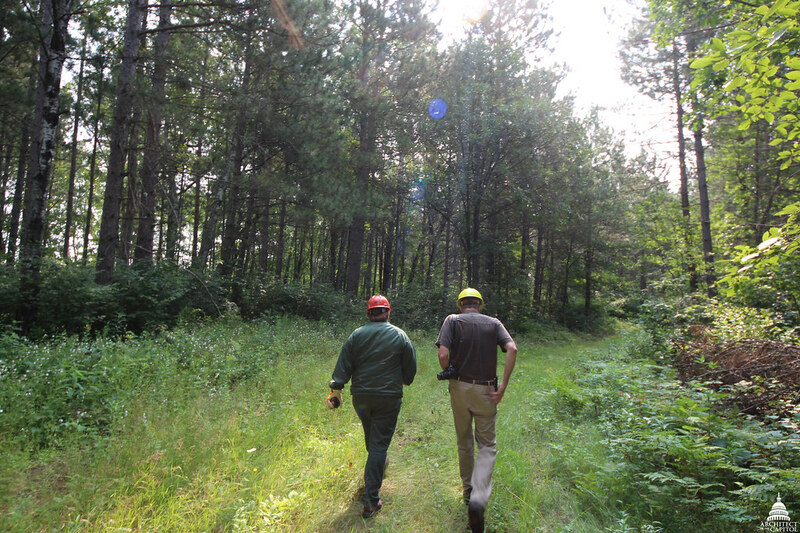 Superintendent of Capitol Grounds Ted Bechtol (right) walks with Millie Baird, Supervisory Civil Engineer for the Chippewa National Forest, to find a candidate for the 2014 Capitol Christmas Tree. The Forest Service does an outstanding job of providing the Christmas tree that will grace the West Front of the U.S. Capitol during the month of December. They also coordinate the creation of thousands of ornaments made by Minnesotans. And the AOC Capitol Grounds staff does an excellent job of decorating and sprucing up the tree for its moment in the spotlight. The Capitol Christmas Tree will look terrific when the Speaker of the House flips the light switch at the lighting ceremony. It's really a sight to behold and I look forward to it every year. The Capitol Christmas Tree will arrive on November 21 at 10 a.m. and the lighting ceremony will take place on December 2, 2014 at 5 p.m. on the West Front Lawn of the U.S. Capitol. This event is free and open to the general public. best time of the year!!! !